The C clef is an important clef in orchestral music. It’s used for certain instruments including the viola, cello, bassoon, and more. It was also commonly used in older vocal scores. It isn’t any harder than learning F or G clef; the process of learning to read a new clef is always exactly the same. While C clef is not as common as the F and G clefs that we have covered in the previous lessons, it’s still very useful in many areas of music. It is definitely something worthwhile if you’re interested in taking your music to the next level. Compared to the other clefs, you may find C clef slightly more challenging to learn to draw, especially the curly part of the design. The best way to learn is to simply try copying it as best you can, several times, until you get the hang of it. Keep in mind that handwritten symbols don’t have to be perfect. As long as it’s easy to identify as a C clef, it’s probably good enough. In older music, up to 5 different positions of the C clef were used. The main purpose of these clefs was for vocal music. Each new position fit the range of a certain type of voice. This is also reflected by the names of the clefs, with each position corresponding to a specific voice type. Three of these 5 positions are no longer in common use. Instead, all vocal music is usually written on either treble or bass clef. Compared with using C clefs, this results in more ledger lines, but at least we have fewer clefs to learn! In older music, it was used to write vocal parts for soprano, which is a high women’s or child’s voice (soprano is the highest voice type). The vocal range of a soprano voice is usually from around C4 up to G5, or higher. The placement of the clef makes the area of the staff coincide almost perfectly with the range of the soprano. Practically every note written for a soprano will stay inside the staff, without having to resort to ledger lines. This was the advantage that the soprano clef provided. Soprano clef was sometimes used for keyboard music as well. Next comes mezzo-soprano, which is a medium female voice type. The normal range of a mezzo-soprano is from around A3 up to A5. 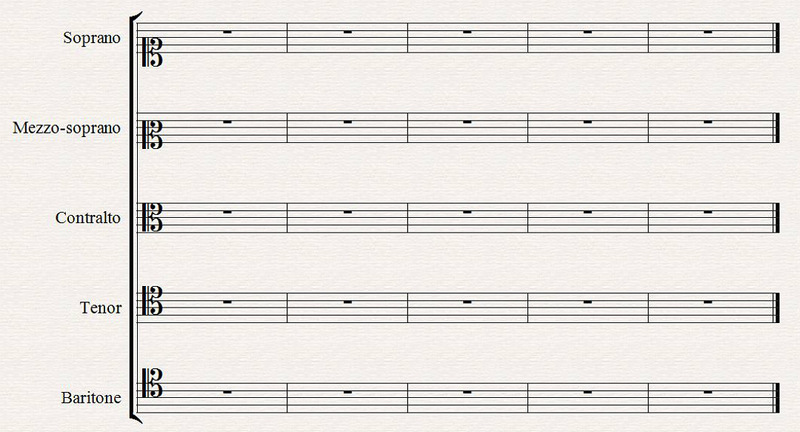 This places A3 on the lowest staff line, which again avoiding ledger lines as much as possible by adjusting the main staff area to the mezzo-soprano range. Just like soprano clef, mezzo-soprano clef is no longer in use, but it still exists in older vocal scores. 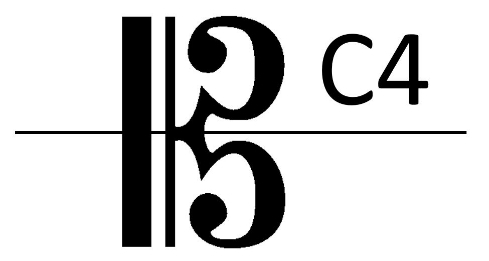 Alto clef is one of the two C clefs that’s still in use nowadays. We’ll learn about it in much more detail in the next lesson. Just like the other positions, in the past it was used in vocal music, often for female vocal parts that were sung by contraltos (lowest female voice type) or else mezzo-sopranos. It’s also very well placed for any instruments that have a medium range. Nowadays it’s best known for its use in writing for viola. In fact, some even refer to it as “viola clef”. Tenor clef is the other C clef still in use in contemporary music, and we will discuss it in a lot more detail in a later lesson. The baritone clef was sometimes used for baritone vocal parts. Baritone is a male voice type somewhere between tenor and bass. For this reason, this particular C clef was not actually used very often, since there was already another clef that provided the exact same function. The main uses of the C clef nowadays are the positions of the alto and tenor clefs, and we will look at both of them in much greater detail in the next two lessons. What note is a C clef centered on? 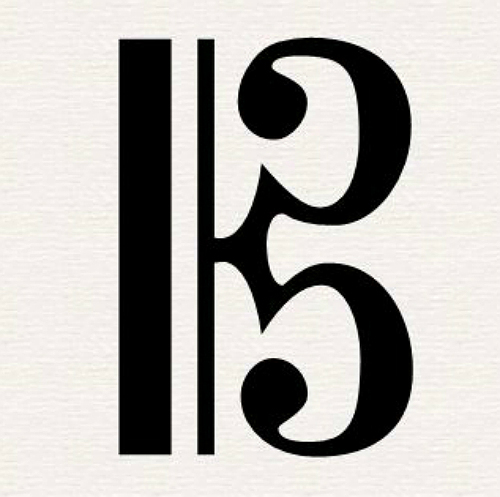 How many positions of the C clef are there? How many positions of C clef are in common use nowadays? Which line of the staff is a soprano clef centered on? Which line of the staff is a tenor clef centered on? Which line of the staff is an alto clef centered on? Which line of the staff is a mezzo-soprano clef centered on? Which line of the staff is a baritone clef centered on? 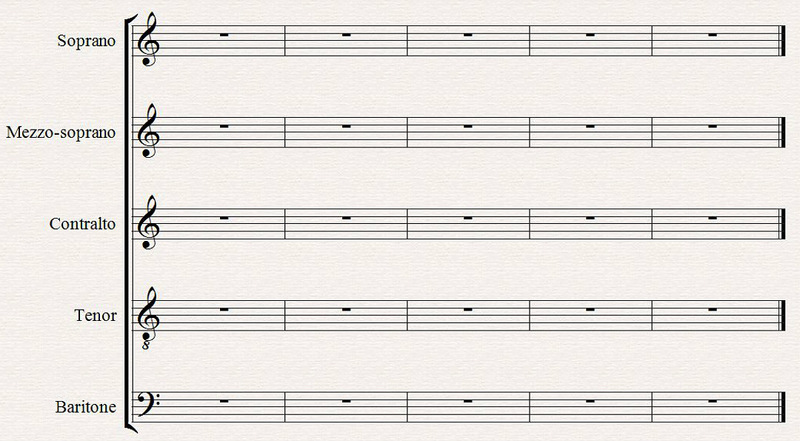 Which of the 5 C clef positions has an “identical twin” clef whose notes are in the same exact positions? Which clef is used for a soprano vocalist in a modern score? Which clef was used for contralto vocalists in older scores? Which voice-type is higher, tenor or baritone?